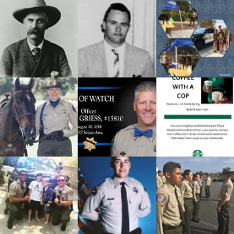 To protect life, property and the environment by leading the development and implementation of a cooperative countywide plan for emergency preparedness, mitigation, response, and recovery drawing from all local, state and federal resources. OES is responsible for countywide disaster planning, mitigation, response and recovery activities. OES staff work with all County departments, ten cities, public and private organizations, and community and civic groups. 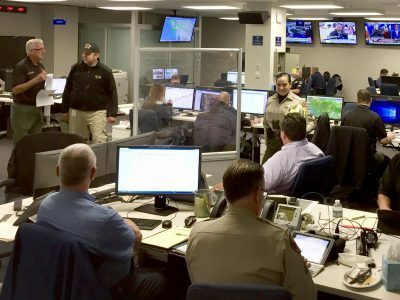 In the event of a disaster, OES is responsible for the County’s Emergency Operations Center (EOC), and coordination of the County’s Emergency Management Team, and for recovering the County’s disaster response costs from the state and federal governments. The OES Manager is responsible for the day-to-day administration of the County’s disaster preparedness and response program and the development of the County’s Emergency Operations Plan. One of the primary functions of OES is to ensure that the EOC is in a constant state of readiness. The Ventura County EOC is a centralized location for coordinating countywide emergency response activities. The EOC is the coordination point between the cities, special districts and the Governor’s Office of Emergency Services (Cal OES). The EOC serves to support field operations and liaison with all public and private disaster response agencies at all levels of government. The EOC is activated in response to major events and disasters that are beyond the scope of normal day-to day emergencies. OES provides National Incident Management System and Standard Emergency Management System training to personnel throughout Ventura County. OES staff also oversee the County’s disaster volunteer programs, including the Auxiliary Communications Services (ACS) and Disaster Assistance Response Team (DART). 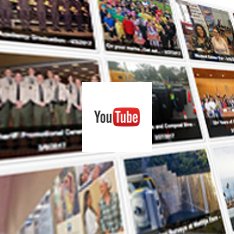 Within California’s emergency management organizational structure, each county serves as an Operational Area. 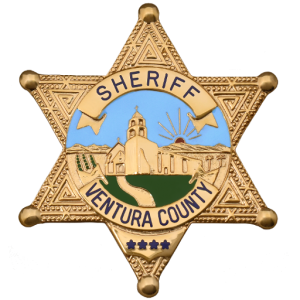 In this role, Sheriff’s OES acts as an agent between Cal OES and the cities, special districts and unincorporated areas of Ventura County. During a disaster, this includes gathering information on the County’s emergency response needs, assessing County and state resources, and facilitating the acquisition, use, and coordination of those resources. In Ventura County’s unincorporated areas, OES is responsible for emergency preparedness education, response and recovery planning, and mitigation activities. OES also coordinates the emergency preparedness and response efforts of the ten cities.